New Delhi, March 20: Ahead of the Lok Sabha elections 2019, Prime Minister Narendra Modi on Wednesday launched a fresh salvo at the Congress in his blog. PM Modi wrote that in 2014, citizens of India voted decisively for “Honesty over dynasty, Development over decay, Security over stagnation, Opportunities over obstacles and Vikas over vote-bank politics”. Taking a jibe at the Congress, the Prime Minister wrote, “When a Government works with the spirit of ‘India First’ instead of ‘Family First’, it shows in its working. Over the last five years, the Indian economy has been the cynosure of the world’s eyes.” PM Narendra Modi Shares 'Main Bhi Chowkidar' Video Song to Kick-Start BJP's Campaign For Lok Sabha Elections 2019. PM Modi also highlighted the work done by his government in various fields including banking, sanitation facilities, education, jobs and building infrastructure in the country. PM Modi wrote, “India has made remarkable achievements in sanitation coverage (from 38% in 2014 to 98% now), banking the unbanked, financing the un-financed, building futuristic infrastructure, homes for the homeless, providing healthcare for the poor and educating the youth.” Indira Gandhi Insulted on Vijay Diwas by PM Narendra Modi in Raebareli Led to People Walking Off Rally, Claims Congress. According to the PM, between 2014 and 2019, the Rajya Sabha’s productivity was 68%. Attacking the Congress over the freedom of press, PM wrote that dynastic parties have never been comfortable with a free and vibrant press. He added that the very first Constitutional Amendment brought in by the Congress government sought to curtail free speech. In his blog, PM Modi also mentioned about the emergency imposed by the then PM Indira Gandhi. He wrote, “The Emergency made the nation a prison overnight. Even to express was to commit sin.” Lok Sabha Elections 2019 Schedule: Voting In 7 Phases From April 11 to May 19, Counting And Results On May 23; Check All Dates For General Elections. Meanwhile, reacting to PM Modi's blog, Congress general secretary Priyanka Gandhi said that the Bharatiya Janata Party (BJP) had systematically attacked every institution in the last five years including the media. She further added, "PM should stop thinking people are fools and understand that they see through this." 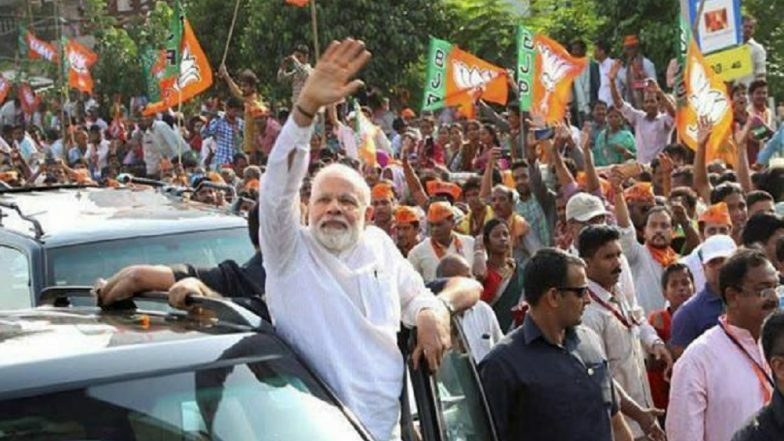 As the Lok Sabha elections 2019 are drawing closer, the political atmosphere in the country has started to heat up. The voting will take place in seven phases between April 11 and May 19. The result will be declared on May 23. Assembly elections in four states – Odisha, Andhra Pradesh, Arunachal Pradesh and Sikkim will also be conducted simultaneously with the parliamentary polls.